NASA’s R5 robot. Image courtesy NASA. That’s why the agency is developing a six-feet tall humanoid robot called R5, previously known as Valkyrie. The machine weighs about 290 lbs., and what’s interesting, it was initially designed to complete disaster-relief maneuvers. In November 2015, NASA awarded two R5 robots to university groups competing in the Defense Advanced Research Projects Agency (DARPA) Robotics Challenge (DRC). One robot is tested by the Massachusetts Institute of Technology (MIT) in Cambridge, Massachusetts under its Robust Autonomy for Extreme Space Environments program. The second one is available for the Northeastern University in Boston, Massachusetts for its Accessible Testing on Humanoid-Robot-R5 and Evaluation of NASA Administered (ATHENA) Space Robotics Challenge. According to NASA, the teams have two years to perform research and software development in order to improve the robot’s autonomy. They will be also receiving $250,000 a year for two years and have access to onsite and virtual technical support from the agency. Moreover, the robots will compete in a Space Robotics Challenge through NASA’s Centennial Challenge Program. “This will be our first hands-on experience with this hardware. We will leverage our lessons learned from the DARPA Robotics Challenge to perform tasks relevant to future space missions with Valkyrie autonomously,” Taskin Padir, the principal investigator of ATHENA at the Northeastern University, told SpaceFlight Insider. Padir’s team will make contributions in three main areas, constrained motion planning and control, grasping of unknown objects, and human-robot interaction. Their testing strategy will rely on completing these task by progressing from teleoperation to full autonomy. ATHENA program will include collecting or recovering desired samples or items, such as Mars soil and rocks as well as exiting a habitat airlock hatch and using a ladder to reach the terrestrial surface. 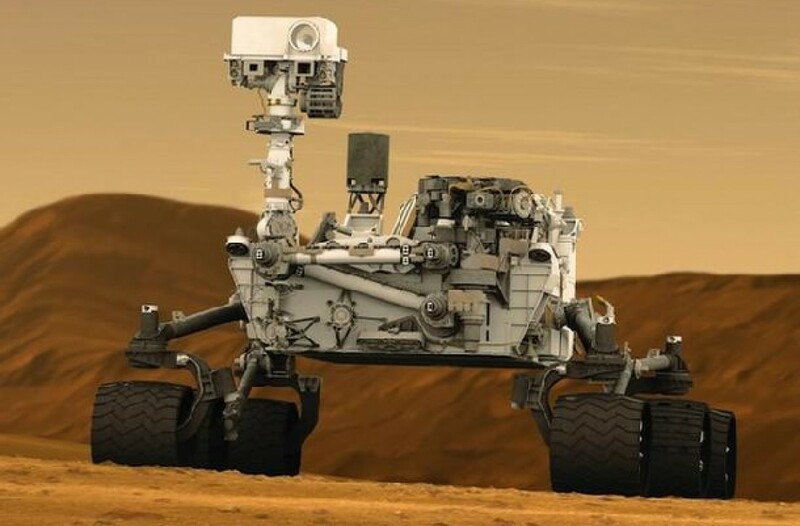 Next test will check if the robot is capable of removing a communications or power cable from a soft-goods storage location and attach it to a connector located at least 33 feet away, while traversing an irregular rocky terrain, like the surface of Mars. The task list concludes with repairing or replacing damaged components on complex equipment, such as a broken valve or a damaged tire on a planetary rover. “The universities selected as hosts for NASA robots will be asked to validate tasks like those needed on a Mars mission, pre deploying and setting up equipment ahead of human members of the crew,” she said. Creating more dexterous autonomous robots, designed to operate in extreme space environments could be crucial for expeditions to Mars and beyond. Humanoid machines could easily undertake activities dangerous for future astronauts. “Extreme space environments are dangerous for humans. And, robots are ideal for dangerous tasks. NASA already has rovers on Mars. This is an effort to advance autonomy of humanoid robots. We will have a better understanding of when and how humanoid robots will help with future deep space exploration missions as we continue our research and development in this field,” Padir said. In developing R5, NASA can rely on experience coming from its Robonaut project. 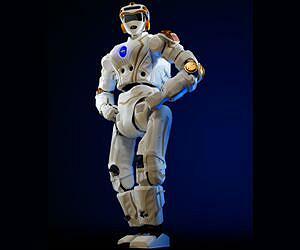 The latest version of this humanoid robot, Robonaut 2, flew to the International Space Station (ISS) in 2011. It was built as a prototype to work on Earth but was sent to ISS and is completing regular and repetitive tasks inside the orbital laboratory, like pressing buttons, flipping, switches and turning knobs. It also worked with two tools: the air flow meter and an RFID inventory scanner. In 2014, the robot received a pair of climbing legs to help it move around the station. It is successfully paving way for future more complex humanoid robots like R5. “NASA has the first of this new class of care taking robot onboard the ISS today. Called Robonaut 2, this system is being used to develop and test new approaches for robots to perform maintenance and repair tasks,” Ellis noted. The R5 project is a part of NASA’s Game Changing Development Program. Langley Research Center manages this program for the agency’s Space Technology Mission Directorate. I would like to make a case, not for robots in and around mars but humans, And I say this with a basic economic effect, that has been demonstrated at least once if not twice in the last 75 years. You see, though on the initial capital expenditure robots are considerably less expensive to deploy than humans, the reason being two fold. Robots currently are developed enough to handle the hostile environments of deep space travel. And Two being machines they do not need a fragile and not fully understood multiple spectrum habitat in order to keep humans functional and healthy enroute, at station and upon return from the red planet. We actually do not yet have the full technical capacity to do this. The last time we had a space project that lacked the technical capacity to be achieved at its inception anywhere near this scale it was on the moon shots. To achieve this incredible goal we had to invent a number of technologies. Compact discs recordings, laser beam readers, micro chips, digital wireless communications, insulation and shielding, energy efficiency, batteries, air scrubbers and filters. Micro component manufacturing. Which was needed in order to make a substance known as velcro. Lets not get into the explosion in material science that was involved. But the above list is arguably 1/3 to 1/2 of our global economy today, all derivative technologies of putting men, not robots, on the moon. I wonder what the derivative economic and market growth would be generated in the wake of the new technologies we would have to invent in order to put people in orbit around mars, on its surface for extended stays and capable of returning to their home planet. Right now, we propose one way trips, in order, mind you, to cut the massive amount of problems involved in keeping a human healthy and habituated to an earth gravity and environment. In my argument this would short change us an incredible opportunity in needed technological development. So, though robots have their place, in my argument, augmenting human space exploration, we should send the real deal there, in order to get the REAL REWARD. Thank you for your feedback. Our students will be reading your comments and we will include this is our classroom project based-learning conversations. Keep the feedback coming we will continue posting on our end.